Jan De Nul Group pockets another award for its sustainable and innovative approach. 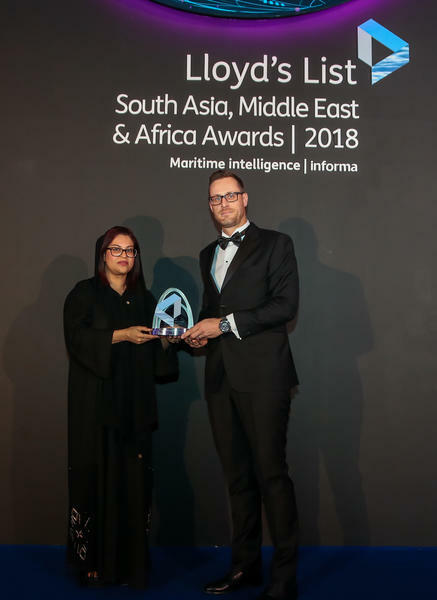 Lloyd’s List, a world leading online source of maritime insights, presented end of November in Dubai the Lloyd’s List South Asia, Middle East and Africa Environment Award to Jan De Nul Group for its innovative and green design of Ultra-Low Emission Vessels. 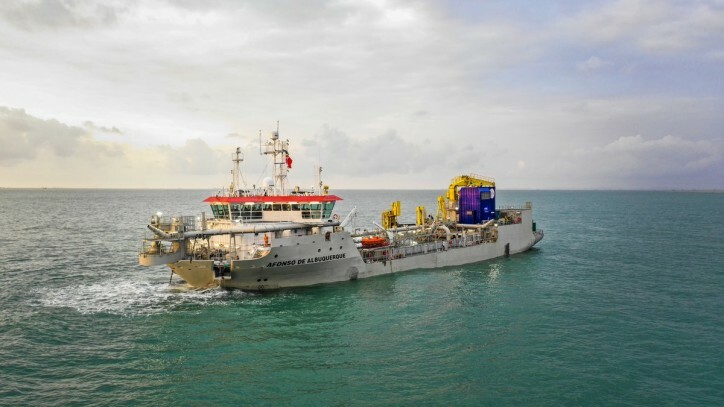 In a world of climate change, and overall environmental consciousness, Jan De Nul Group has chosen to equip its latest generation of dredging vessels with an ingenious system of filtering to actually remove or eliminate toxic substance from exhaust gases. Jan De Nul developed this technology based on the Swiss example of filtering exhaust gases in the tunnelling industry. Since the 1990s, the tunnelling industry has used exhaust gas filtration on vehicle and heavy-duty machinery emissions to provide clean, breathable air for tunnelling activities under the Alps. 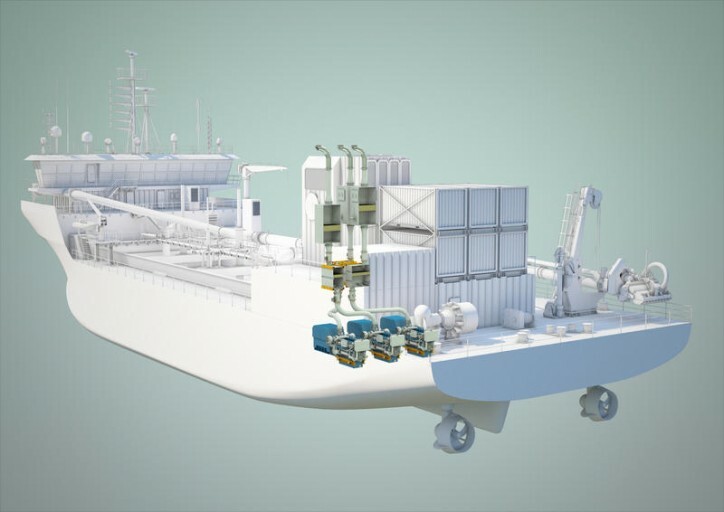 The Group designed in-house and ordered five ultra-low emission hopper dredgers, called Ultra-Low Emission Vessels: three small 3,500 m³ and two medium-sized 6,000 m³. The three smallest have already been launched and will enter into service very soon. All five vessels are diesel-electrical powered, with engines allowing optimal use of generated power but with low fuel consumption and emissions. In addition, the vessels are equipped with a two-stage highly efficient exhaust gas filter system, resulting in emissions complying with the European Stage V regulations for inland waterway vessels. “As the new dredgers will frequently operate in estuaries, rivers and coastal areas near urban areas, we decided to limit the NOx emissions to a level below the actual IMO Tier III requirements, and to reduce other potentially harmful contaminants that are currently not regulated by IMO,” says De Backer. The maritime transport regulator International Maritime Organisation (IMO), states that clean burning fuel vessels have to comply with the IMO Tier III regulation. The European regulations for inland waterway vessels, Stage V, are far stricter. Mainly because for the first time, particles emitted down to 23 nanometres are taken into account. The new vessels will operate with normally available ultra-low sulphur gasoil, with the exhaust gas treated in two stages by means of a Selective Catalytic Reduction (SCR) system and a Diesel Particulate Filter (DPF). The SCR system, combined with AdBlue (Urea), is currently the most efficient de-NOx system for internal combustion engines. On the other hand, the Diesel Particulate Filters removes the particulates and nano particulates from the exhaust gases. All DPF systems on board of the vessels have a VERT–label (Swiss BAT label). Moreover, the DPF also filters the Black Carbon. As such, Jan De Nul Group also significantly reduces the climate impact of these vessels.